Season 4 is underway in Fortnite, so let's take a look at the first week of challenges! It's the start of the Season 4 of Fortnite and with a new season comes a new battle pass! The map has experienced big changes and the battle pass itself has had new things added to it! Check out our guide to all the challenges for week 1! For a roundup of all the weeks and challenges from Season 4, check out our Fortnite Season 4 Guide! Snipers are great guns to work on getting good with, particularly in solos because once you are able to be consistent with these you can get a lot of easy kills from a distance. The hunting rifle also counts for this challenge, so be sure to check that gun out! If you are struggling with this, try going into duos or squads and finishing downed opponents with a sniper! 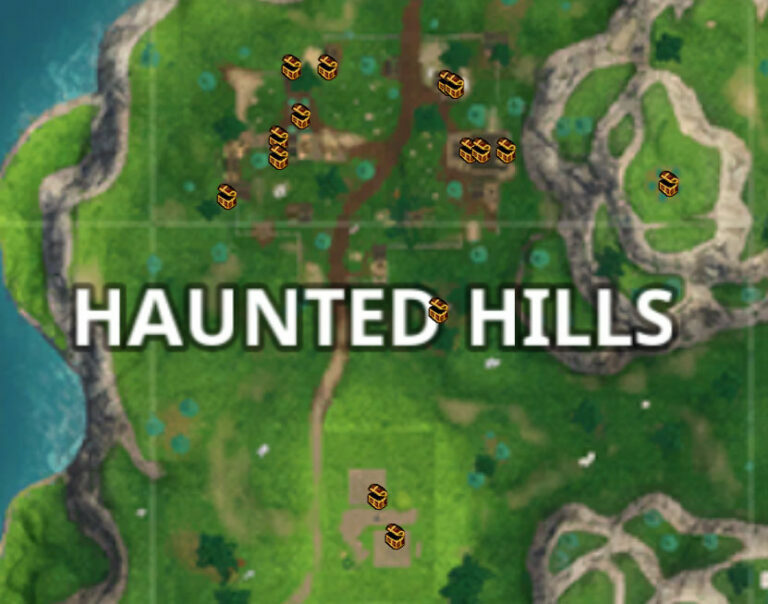 This is an older map, so Haunted Hills might be slightly different now. You can use this as a reference, I will update it to a newer map once there's one available. Port-a-Forts are a bit of a new item that allows you to throw down a quick fully metal fort instantly! Finding one will be a bit difficult, but once you find one you can quickly throw it down to complete this challenge! Learn more about this item with our Port-a-Fort Guide! If you are looking for the letters we've got a map below that display a bunch of them. There might be more locations, so I will update the map if we find anymore. You get each letter in order, so every time you find a letter it will be the next letter you need in the sequence. 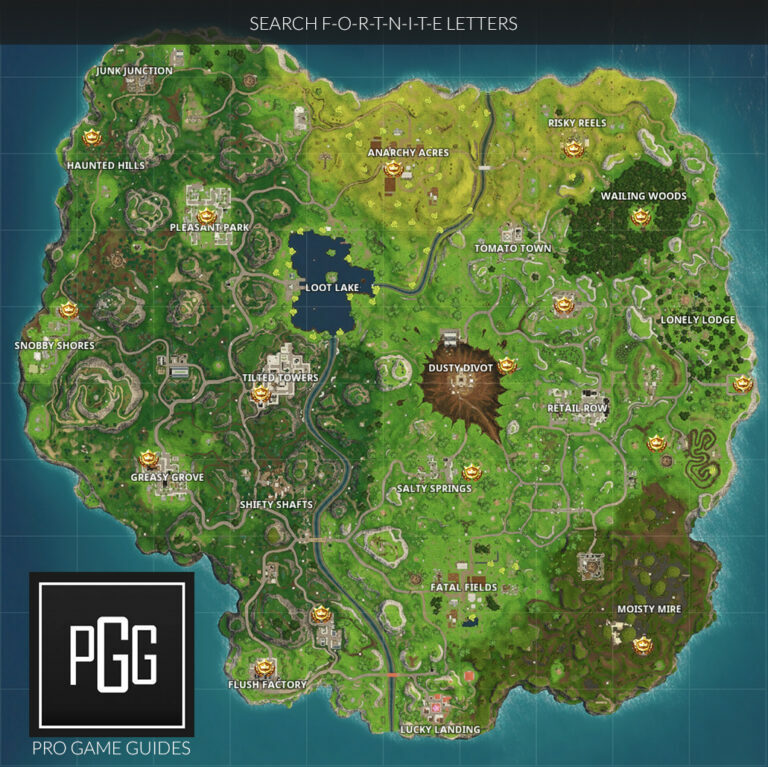 If you want more detailed information, check out our Search Fortnite Letters Location Guide! You don't need to go to Tomato Town, just head to the location on the map below! In Loot Lake there's a new area with a huge boulder you can't destroy that's just north of the treasure. This spot had two treasure chests and a gun there when I landed. Head there first, grab a gun or open the chests, then go to the treasure item. You might get some free kills this way if you want to continue out the match! 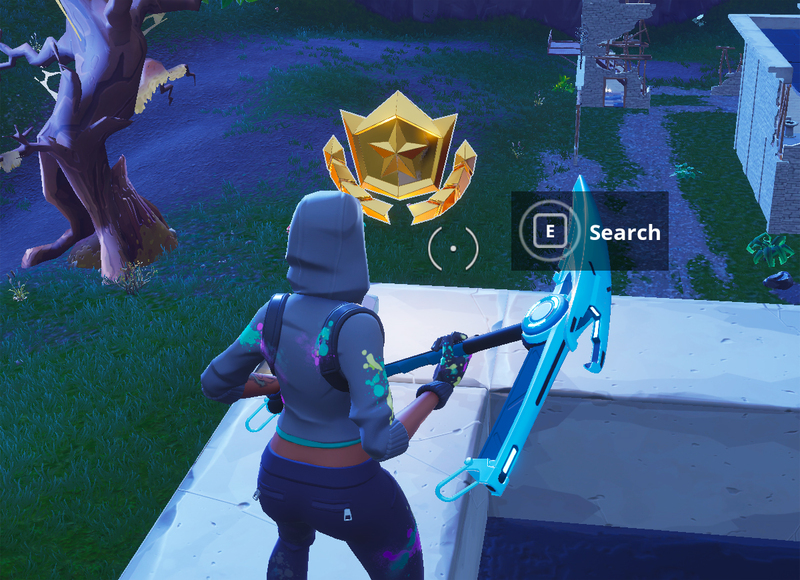 The treasure itself is on a capsized boat to the east side of Loot Lake. Pistols are a bit underrated in Fortnite, but this can be difficult if you are new to the game. I really like the suppressed pistol and the hand cannon is also very solid. If you are struggling, you can always squad it up and shoot downed opponents. If you want to get better with pistols, check out our Fortnite Pistols Tips Guide! You'll probably want to knock this one out pretty quickly because this is not a very popular location to land and rarely is in circles leading up to the end! 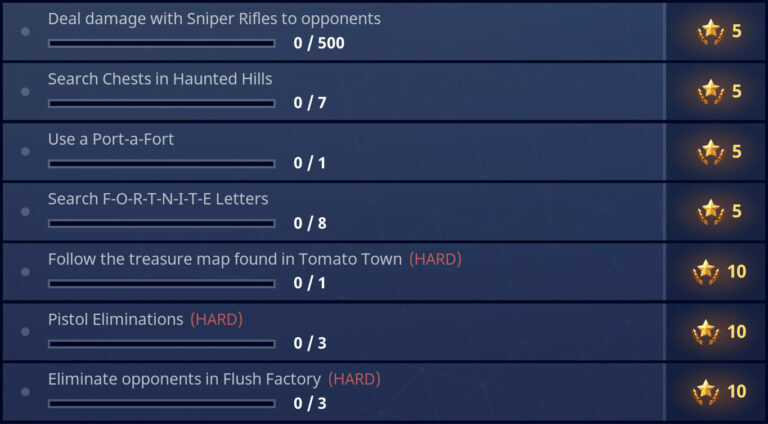 Once you've finished all of the above challenges a hidden challenge will unlock. It does not appear in your challenges area, but is shown in a loading screen. The hidden challenge for week 1 is in the prison area that got hit with one of the meteorites and was significantly changed. It is on the north western most tower, at the south eastern corner!